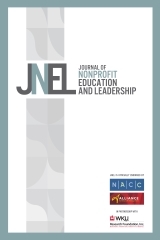 This special issue of the Journal of Nonprofit Education and Leadership contains papers from the NACC accreditation summit, 2016. This quarterly journal's mission is to improve nonprofit education and leadership through the publication and dissemination of peer-reviewed manuscripts centered on professional practice, research, and theoretical discussions. Manuscript submissions are encouraged from authors inside and outside of academia. Is Accreditation Good for the Field?